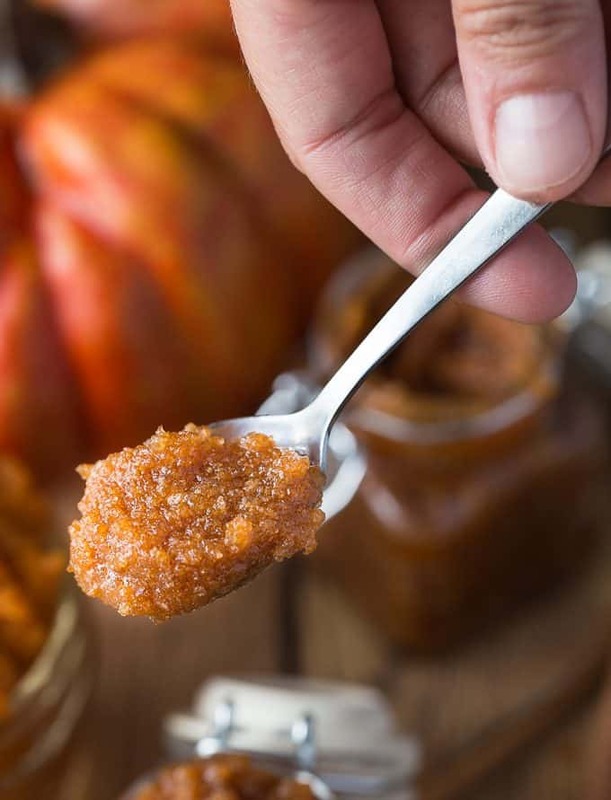 Got leftover pumpkin puree? Here’s an idea for it! Most of my DIY beauty scrubs use edible ingredients. 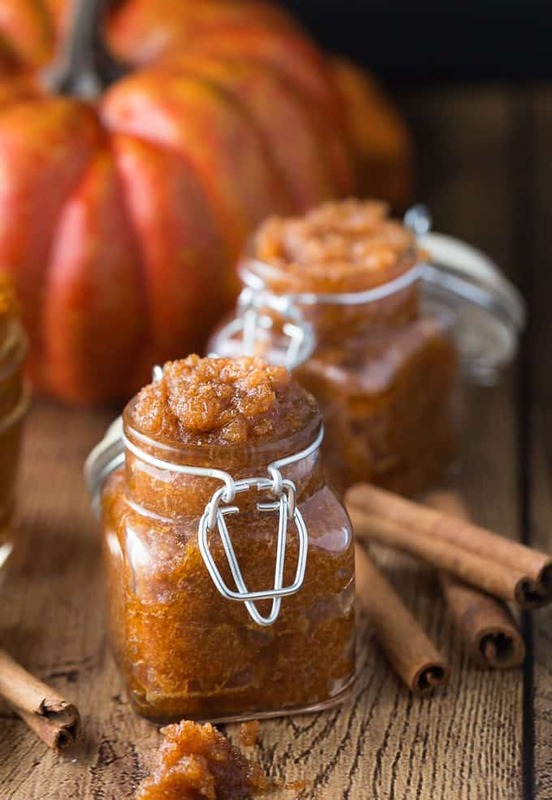 This Vanilla Pumpkin Sugar Scrub has five ingredients and most of them you could probably guess just by looking at its name. I use natural raw sugar because I like its grittier texture for exfoliating. If you can’t find any, brown sugar will do. I love using melted coconut oil in my DIY beauty recipes. Coconut oil feels wonderful on your skin and is so soothing and moisturizing. Vanilla extract and pumpkin spice are added to give it a nice fall scent. Combine all ingredients in a bowl and stir. Store in a mason jar. Brown sugar can be substituted if you can’t find natural raw sugar. Use it on your body (not face) in the shower. Scrubs can get a little messy so using them in the shower is the easiest way to ensure your bathroom doesn’t get scrub everywhere. If it’s warm where you live, you could also use it outside with a tub of warm water. Because this scrub contains edible ingredients, you’ll want to store it in the fridge and keep it up to one month. Use it right away. You’ll love it! I’ve posted lots of easy beauty recipes on my blog already with more to come. Check them out and give them a try! They are all simple to make and feel wonderful on your skin! 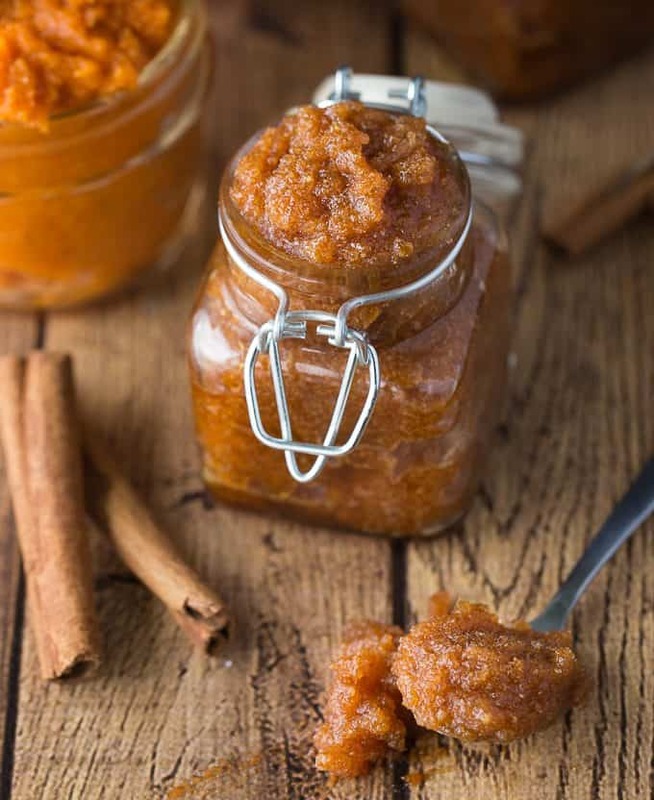 Have you ever used pumpkin in a scrub? 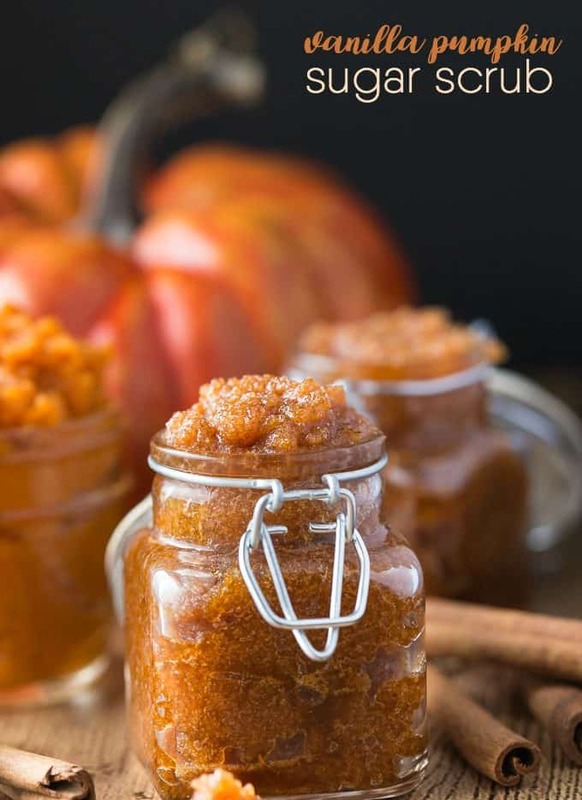 This is such awesome recipe for the Vanilla Pumpkin Sugar Scrub! It looks so pretty and I bet it smells good and makes the skin feel so soft. I want to make this recipe. I would love to try this, it is so easy to make! I bet this smells SO GOOD. This looks like a great fall item. It sounds like it would be great for your skin and smell great. I have never used pumpkin before. I like making scrubs as presents, but this one probably wouldn’t work because of its short shelf life. Going to try this one Saturday!! all my family are going to want me to make them some.. This looks amazing! I am going to try to make this soon! I have the ingredients to make this, I’d love to try it, it sounds fun! A nice way to celebrate fall! Thanks for the idea and recipe. This will make the perfect “thank you” gift for family and friends at our Thanksgiving gathering this year. Are there any special storing instructions? And how long will this recipe keep in sealed mason jar? I would store it in the fridge because it does have food ingredients. That will keep it fresh longer. I keep mine up to a month in the fridge. This looks delightful– I’d have to remind myself not to eat it! 😉 I bet it smells amazing! I’m stopping by from the Wednesday Blog Hop. I’ve always wanted to make something like this, but never have. This looks like a perfect fall project & teacher’s gift. Thanks for sharing! Can’t wait to make this! I have just the right amount of leftover pumpkin puree in the fridge! I bet this sugar scrub smells so good! Thanks for sharing with us over at Dishing It & Digging It! This looks fantastic! One quick question…do you make your own pumpkin purée or buy store bought? Thanks!! How much does this recipe make because I am making for sister in laws?